Last Friday, I went to the Craft & Folk Art Museum for the opening of an exhibition of contemporary Iranian video and photography. As coincidence would have it, that was the very day President Trump signed an executive order closing the nation's borders to refugees and people from 7 predominately Muslim countries -- including Iran. If you believe in the timeless wisdom of the saying "a picture is worth a thousand words", this is certainly an exhibition that will open your mind; every image provides a rare glimpse into the everyday lives of Iranian people. I urge you to go and see this important exhibition for yourself. 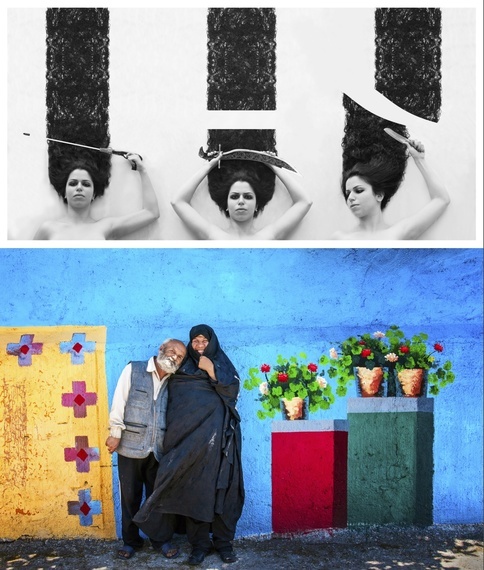 This exhibition, titled FOCUS IRAN 2, is actually the second biennial exhibition with a focus on Iranian culture and heritage. 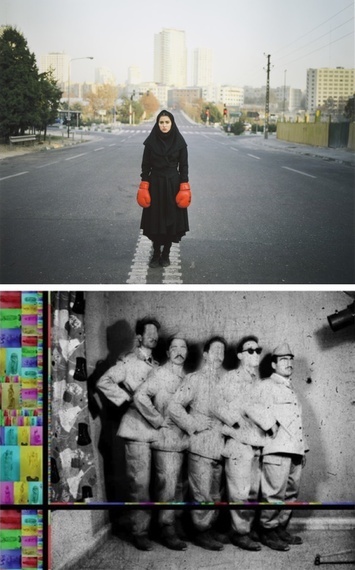 An international jury panel selected works by several dozen artists living both in and out of Iran, thus providing diverse visions from inside and outside of the country. In her statement, the Craft & Folk Art Museum director Suzanne Isken says that "in an era where xenophobic rhetoric has taken center stage, [the promotion of cross-cultural understanding through our exhibitions and programs] has taken on a new urgency". It's been only a year since the Los Angeles County Museum of Art had an exhibition of contemporary Islamic artists -- primarily photographers, and most of them women. 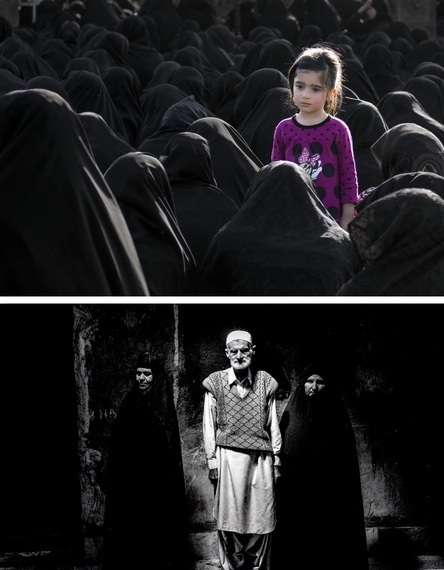 I was impressed by the diversity and edginess of many of these images. 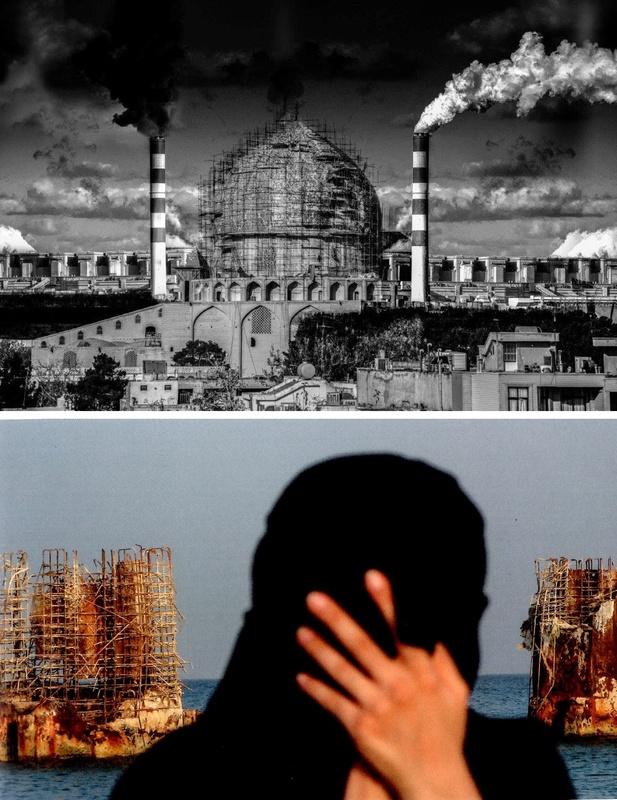 At a time when most of the news coming from the Middle East is -- to put it mildly -- rather negative, seeing the artworks produced by contemporary artists there reminds us that we have much more in common with people in the Middle East than we might otherwise realize. All of the above brings back the memory of another extremely important museum exhibition, Manzanar: the Wartime Photographs of Ansel Adams, shown at the Skirball Cultural Center in 2015. 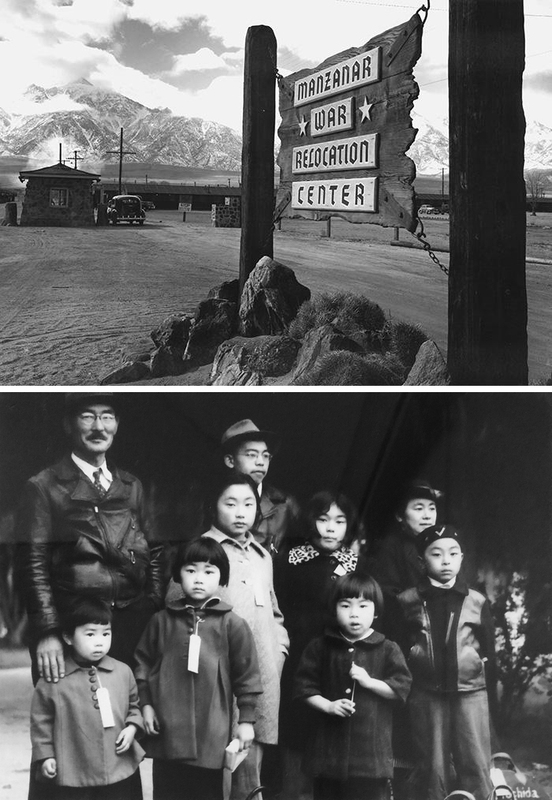 It dealt with the political paranoia of the time, when President Roosevelt, after the bombing of Pearl Harbor in 1941, issued an executive order leading to the forced evacuation of 110,000 people of Japanese ancestry into ten internment camps, Manzanar one of them. Since visiting this exhibition, I've been haunted by the information I read in one of museum's wall texts, that "in the entire course of the war, [only] ten people in the United States were convicted of spying for Japan. All of them were Caucasian." It was courageous of the Skirball to present this exhibition about this shameful chapter in our nation's history -- a lesson that we mustn't forget.